See why 2015 has been the best year for Mountain Mavericks! It’s been a serious year at Mountain Mavericks and we can’t thank you enough for being apart of it. As a company we have really found our groove this year and we’ve had so many incredible highlights. Back in January we took our first step in partnering with Planks Clothing by having their pro team stay in Chalet L’Atelier. Since the Planks team came to visit we have done a ski show after party with them, had our whole team kitted head to toe in their products and are very close to releasing a little project with them later on in the season which will be mega exciting. We also have an exclusive discount code for you to enjoy their products at a special Mountain Mavericks price. 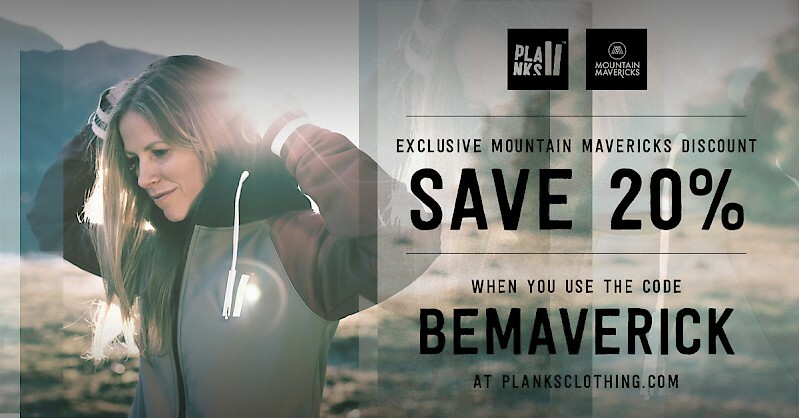 Simply just enter BEMAVERICK into their online shop and enjoy 20% off Planks mens, women & kids range. Throughout last season we saw some great snowfall and some epic days on the mountain. We started 2 video projects which got a lot of attention to keep people inspired while daydreaming in the office. The Mountain Mavericks Lunch Laps & Mountain Mavericks Sessionshave collectively been viewed well over 20 thousand times, with the aim of recording a couple of runs during the office lunch break and promoting up and coming musicians in our incredible Morzine habitat. If you haven’t seen them already click on our Mountain Mavericks YouTube channel, subscribe and enter daydream mode! Click on the picture to see Katey Brooks Mountain Mavericks Session in Chalet Le Prele. We saw some amazing events happen at L’Aubergade throughout the season from snowboard competitions to film evenings to music nights. Getting a good name for promoting original music in the area – we saw some amazing bands come through the doors of the hotel. Picks have to include Hunter & The Bear playing to a few hundred people in the rain at the Cider, Ale & Sausage Festival in August, Will And The People & Zuri Aura making the terrace enter full party mode in March and our Jazz Evenings with Cab making the bar feel like an underground candlelit blues club. 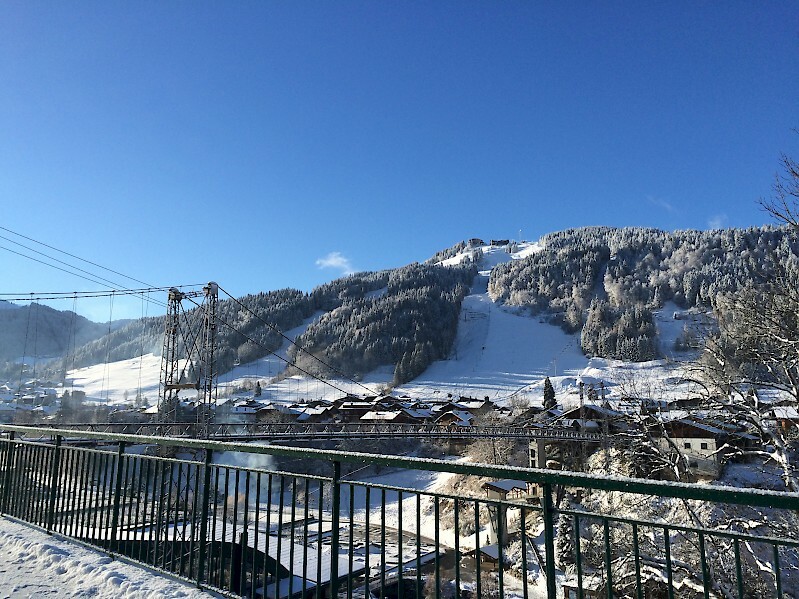 Watch out for 2016’s bookings – we have a feeling you’ll enjoy! Chalet Chambertin saw a facelift at the start of last season making our flagship chalet even more luxury and homely. Situated in the incredible Vallee de la Manche – Chambertin is located in one of the most picturesque vallee’s in the area, check out some of the interior shots here. In June we launched our new Mountain Mavericks Summer Holidays which included ‘Family Activity Weeks’, ‘Golf Weeks’ & ‘Self-Catered Weeks’which consisted of families taking to the hills to road bike, hike, trail run and mountain bike. 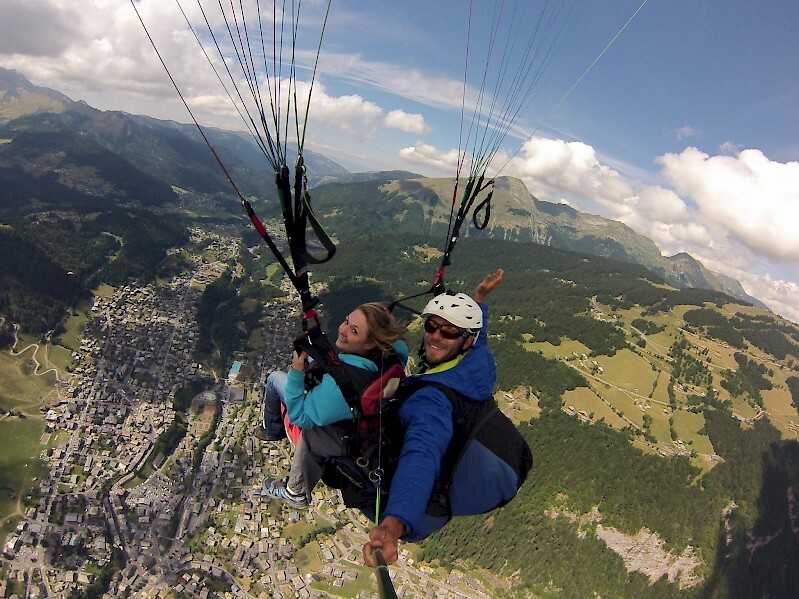 Amongst making the most of the amazing weather Morzine saw this summer! Inter-season was extremely busy planning for the season ahead and more importantly Olly’s 40th birthday! The team hiked the mountains in November for fresh tracks and over Olly’s 40th birthday we welcomed back Hunter & The Bear to headline alongside Cab Collective, No Way Jose & Chicane! That will be a weekend we won’t forget in a long time! Onyx Snowboard camp returned to Chalet L’Atelier last March & December to provide guests a snowboarding experience that has raised each one of them up a bar or two in the snowboarding ability. If your looking to up your ability riding around the mountain, then gather up your kit, book onto next years camp (March is already sold out) and show off to your friends! In December we announced our new partnerships with Neal’s Yard Remedies, Muddy Puddles & Rome Snowboards. We couldn’t be more happy working with these two brands as they fit so well with Mountain Mavericks ethos. Within all our chalets you can bathe in Neal’s Yard Remedies after your long day on the mountains and try their new products. You can even have access to an exclusive Mountain Mavericks discount code of 20% on Neal’s Yard Remedies online store by entering MM20 at the checkout. Muddy Puddles provides quality clothing for the little ones while they head outdoors and explore. From onesies to boots to jackets and socks – Muddy Puddles has a huge range of kids clothing perfect for Morzine’s summer & winter seasons with Mountain Mavericks! If you forget something in the chalets then we’ll simply call the local Muddy Puddles rep and hopefully she’ll be able to deliver what you need to the chalet door. No matter how well you prepare you’ll always leave a pair of ski socks of a beanie at home! Alternatively – before or after your holiday go to Muddy Puddles website and simply enter MOUNTAINMAVERICKS into their online checkout and receive 20% off their full collection. Rome Snowboards have always stood out for us in terms of a snowboard brand who have lead the way in the snowboard industry. Rider owned, good company environment and a quality product. It was an obvious match for Mountain Mavericks. Chalet L’Atelier will act as our Rome Snowboard hub, where you’ll find inspiring artwork throughout the chalet to get you stoked for your day on the mountain. You will also have access to our Rome Snowboard fleet during your stay with Mountain Mavericks. Fancy trying out 2016 technology, a different shape board or a different stiffness of board? You’ll have access to a collection of 13 of this seasons Rome Snowboards, where you can chop and change between boards depending on the conditions or your shape preference. These boards will be prepared and delivered to you by Olly – and he will give you advise on the best board for the conditions and your ability. For peak weeks these will be booked up in advanced , so please get in contact with thechalet@mountainmavericks.com to trial your Rome Snowboard in advanced. Previous: Win a holiday for 2 with Mountain Mavericks, Ultrasport EU & Bern! 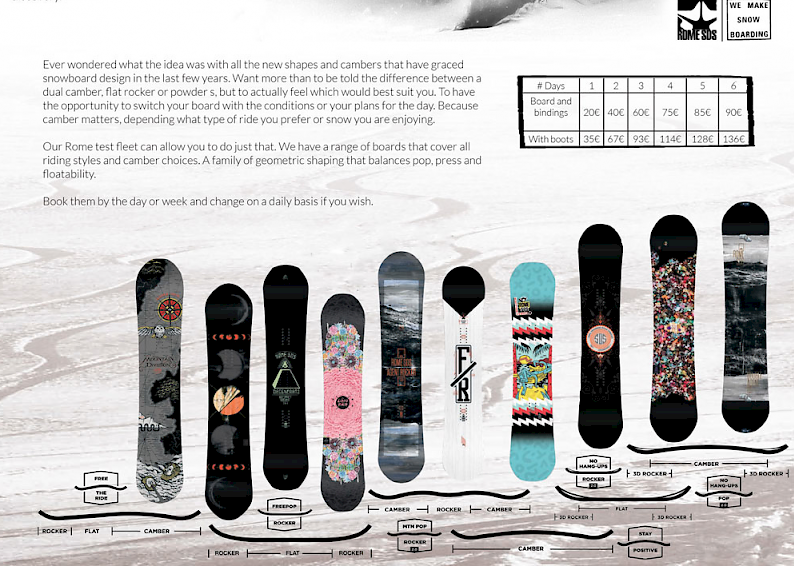 Next: Heavy snowfall is predicted in Morzine – ride one of Mountain Mavericks Rome Snowboards Powder Devision boards!